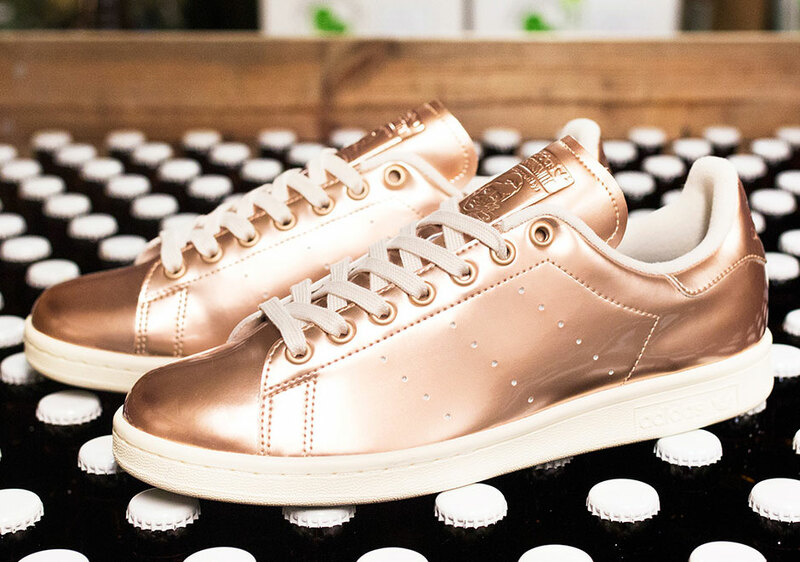 Sweden’s Sneakersnstuff and adidas raise their glasses together and say “cheers!” for a special set of classic sneakers within the “Brewery” pack. 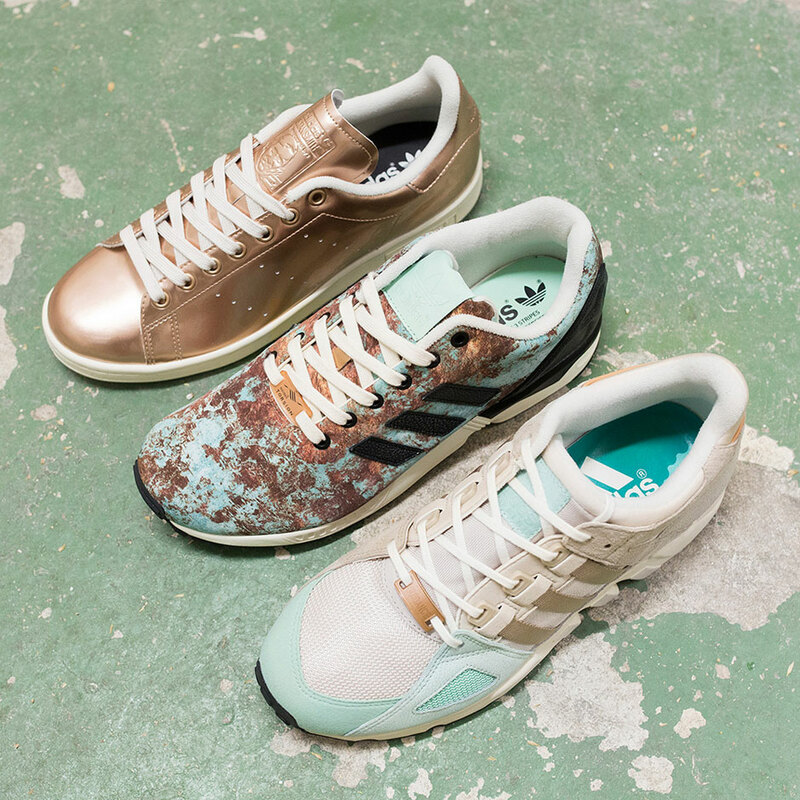 Inspired by Stockholm’s rich history of breweries and the old brewery right across the street from SNS specifically, the three-shoe pack containing the EQT Running Guidance, Stan Smith, and ZX Flux each draw color cues from the large copper kettles characteristic of 19th century breweries and the malty colors of beer. 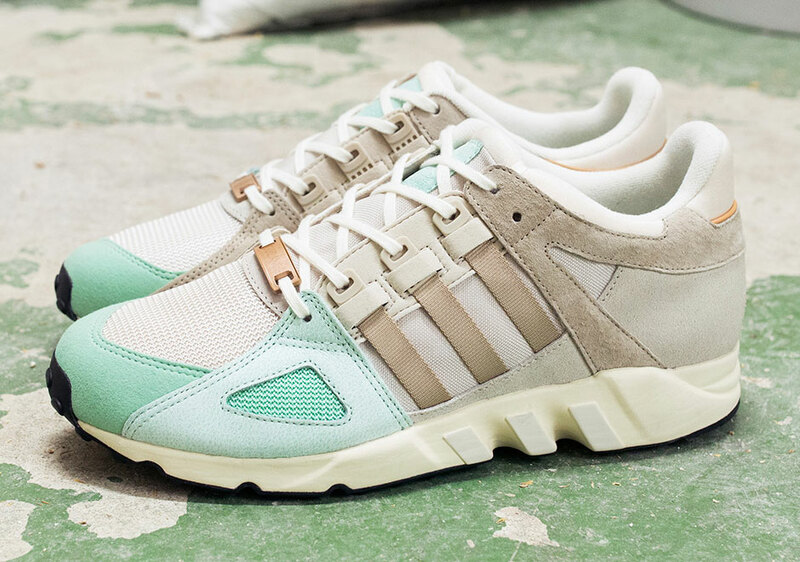 Leading off the set is the EQT Guidance ’93 “Malt”, which features a minty-green toe to signify the oxidized copper of the antique kettles, blended with the flavor of hops in shades of light tan. The Stan Smith “Copper Kettle” has self-explanatory inspiration, featuring an all metallic copper upper. 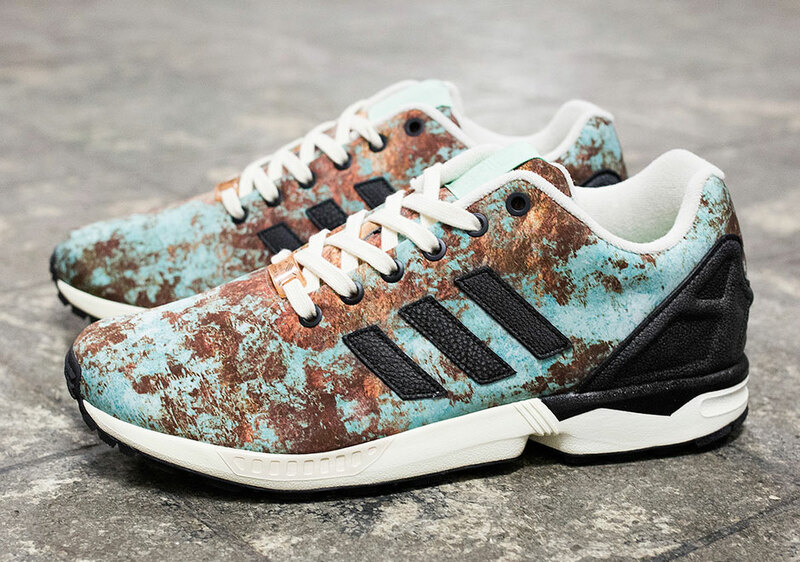 Then the ZX Flux “Aged Copper” completes the set, presented with a photo print of aged copper from the roof of the brewery across from SNS. The Sneakersnstuff x adidas Originals Brewery pack will have staggered release dates, with the EQT Guidance dropping on May 16th, the Stan Smith on May 23rd, and the ZX Flux on May 30th. Each shoe will release exclusively at Sneakersnstuff.